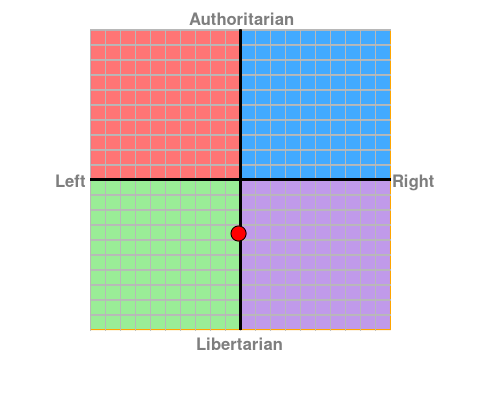 Because I often get involved in political blogging and discussion I post my political compass results. I test out trending libertarian, and for capitalism but not laissez fair capitalism. I believe this correlates to being a political moderate in the United States, and I’m independent of either party.